Save $100 with the Creative Kids Voucher and Create Something Great! Save $100 on your child’s BRICKS 4 KIDZ program with the NSW Creative Kids Rebate and Create Something Great! 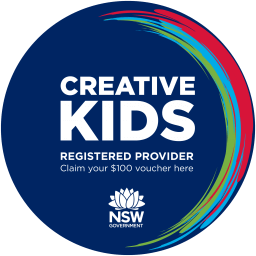 The NSW Government recently announced a new rebate for creative activities for children. This new rebate, called Creative Kids, is similar to Active Kids and works in exactly the same way. We are proud to announce that BRICKS 4 KIDZ has been approved as a provider for this rebate! You can use your Rebate on qualifying School Holiday and After School Programs — let your child develop new skills and Create Something Great! It is Super-EASY to Claim your Creative Kids Rebate with BRICKS 4 KIDZ! 1 — Get your Rebate Code! Visit Service NSW online and log in using your account details. You will need your child’s Medicare card number. 2 — Book a BRICKS 4 KIDZ Program! You can use your Rebate Code when you book either a BRICKS 4 KIDZ School Holiday Workshop or After School Program. Spaces are limited so we recommend doing this as soon as possible to avoid disappointment! 3 — Send us your Rebate Code to Receive your Refund! You can submit your Rebate Code to us HERE. Rebates will be processed on a weekly basis and funds will go back onto the credit or debit card used to make the booking. We’ll keep you updated on the status of your refund!